Please click the links below to read the Summary report and Independent Reviewer Statement. 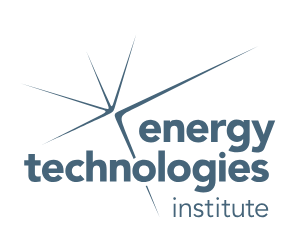 The role of the ETI is to act as a conduit between academia, industry and the government to accelerate the development of low carbon technologies. We bring together engineering projects that develop affordable, secure and sustainable technologies to help the UK address its long-term emissions reductions targets as well as delivering nearer term benefits. We make targeted commercial investments in nine technology programmes across heat, power, transport and the infrastructure that links them. CleanTech Catalyst Ltd is a UK based consultancy providing internationally sought-after business strategy and communication advice, specialising in climate change and clean energy. One of CleanTech Catalyst’s projects is Energy for Humanity, a non-profit organisation whose mission includes developing strategies to accelerate the commercialisation of clean and affordable climate solutions. Lucid Strategy is based in Cambridge, MA and specializes in clean energy technology cost reduction and scale-up, as applied to deep decarbonisation. Recent work includes the Energy Innovation Reform Project’s study into the costs of advanced nuclear power delivered through the Energy Options Network, and support to the MIT study on the future of nuclear energy in a carbon constrained world.